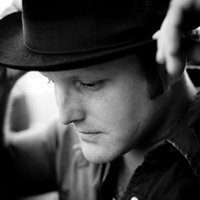 Philadelphia native and now Nashville resident John Francis is due for a new album. His last release was 2010’s The Better Angels, produced by John Carter Cash. Seemingly always on the road, John did find time to record and release a new song, “Jesus Walked on Water” a month or so back. He’s currently touring in Europe through May. Download “Jesus Walked on Water” here and then head over to John’s Bandcamp page to check out his earlier releases. Watch John perform “Johhny Cash on the Radio” from The Better Angels on Music City Roots.